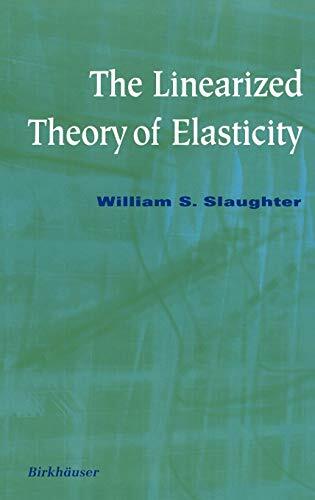 This book is derived from notes used in teaching a first-year graduate-level course in elasticity in the Department of Mechanical Engineering at the University of Pittsburgh. This is a modern treatment of the linearized theory of elasticity, which is presented as a specialization of the general theory of continuum mechanics. It includes a comprehensive introduction to tensor analysis, a rigorous development of the governing field equations with an emphasis on recognizing the assumptions and approximations in­ herent in the linearized theory, specification of boundary conditions, and a survey of solution methods for important classes of problems. Two- and three-dimensional problems, torsion of noncircular cylinders, variational methods, and complex variable methods are covered. This book is intended as the text for a first-year graduate course in me­ chanical or civil engineering. Sufficient depth is provided such that the text can be used without a prerequisite course in continuum mechanics, and the material is presented in such a way as to prepare students for subsequent courses in nonlinear elasticity, inelasticity, and fracture mechanics. Alter­ natively, for a course that is preceded by a course in continuum mechanics, there is enough additional content for a full semester of linearized elasticity. 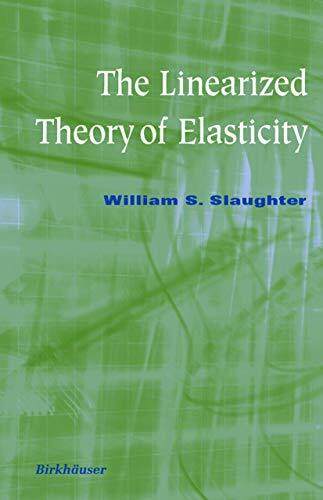 "This book is a modern treatment of the linearized theory of elasticity, presented as a specialization of the general theory of continuum mechanics. It is derived from notes used by the author in teaching a first-year graduate-level course in elasticity.... Presented [are] various results connected to functions of a complex variable, strain, plane strain/stress, etc.... Each chapter ends with a useful list of problems.